I made a new videon showing how I decorate a small island to demonstrate the new improved world editor mode. Now the user can place any abject as well as moving and rotating them. Objects and also be deleted. The world can be saved to a file from the editor. At startup, the program looks for a save file in the same folder as the executable file, if no save file is found, a default file is loaded. The video also shows some post processing effects I have implemented. This entry was posted in Game development, Java, OpenGL, Programming on December 18, 2015 by Axel. I have added a simple editor mode in my graphics engine that allows me to move and rotate entities with the mouse cursor. This works by casting a ray from the camera, trough the mouse cursor, into the world. To select objects, the distance from the objects local origin to the mouse ray is calculated using linear algebra, if this distance is small enough the object is selected. Then the intersection point between this ray and the terrain is calculated using binary search, and used to position the selected object. Double jump using [Space] to begin flying mode. Use space and [Shift] to fly up and down. Hold down [Alt] to free the mouse cursor to interact with objects. Click and drag objects with the left mouse button to move them. Click and drag with the right mouse button to rotate objects. Press the center mouse button to spawn a new “physics-barrel”. This entry was posted in Game development, Java, OpenGL, Programming on November 25, 2015 by Axel. 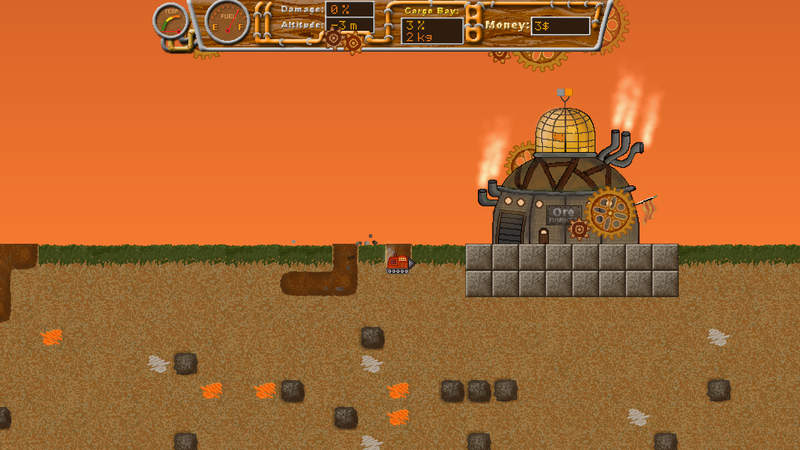 Steam Digger is a game that I made in the course “TDDD23 Design and Programming of Computer Games” at the university. The game is inspired by an old browser-game called “motherload” the I played a lot when I was a kid. My version is made using Java, libGDX and Box2D. This was interesting to make because if was the first time I used an actual game-library any physics engine to make something. I did not have as mush time as I wanted to spend on this project. There were some features and detailed that were planed, put never added. I think it turned out pretty well anyway. Maybe I will finish this project someday. This entry was posted in Game development, Java, Programming on November 9, 2015 by Axel. This entry was posted in Game development, Java, OpenGL, Programming on July 22, 2015 by Axel. In update 13 a have added water to the world. The water is created using a reflection texture and a refraction texture that are applied to the water surface. The textures are distorted and animated by two DuDv maps. There are also specular light reflections on the surface, the surface normal is calculated using two normal maps. This entry was posted in Game development, Java, OpenGL, Programming on June 8, 2015 by Axel. Made some progress with my graphics engine. In this video I show a simple menu. I have also added a lot more content to the world, like trees, rocks and more flowers to make it more interesting. There is also a very simple physics engine that controls the behavior of moving entities. This is demonstrated by the (very unrealistic) sliding crates and barrels in the video. This entry was posted in Game development, Java, OpenGL, Programming on May 26, 2015 by Axel. This is another 3D graphics engine I have made using modern OpenGL, Java and LWJGL 3.0. I wanted to make something a little more realistic than my previous project, “Tile World 3“. So far I have made a simple terrain using a height map and implemented multitexturing using a blend map. There is also a first person camera that can walk around on the terrain, the “player” can jump and respond to physics. This “graphics engine” will be the platform for more experiments in the future. For example I want to try water rendering with reflations and particle systems. I will upload a new version of the runnable application to this page every time I make any progress. Try them yourself! The demo requires Java and a decent graphics card to work. This entry was posted in Game development, Java, OpenGL, Programming on May 7, 2015 by Axel. 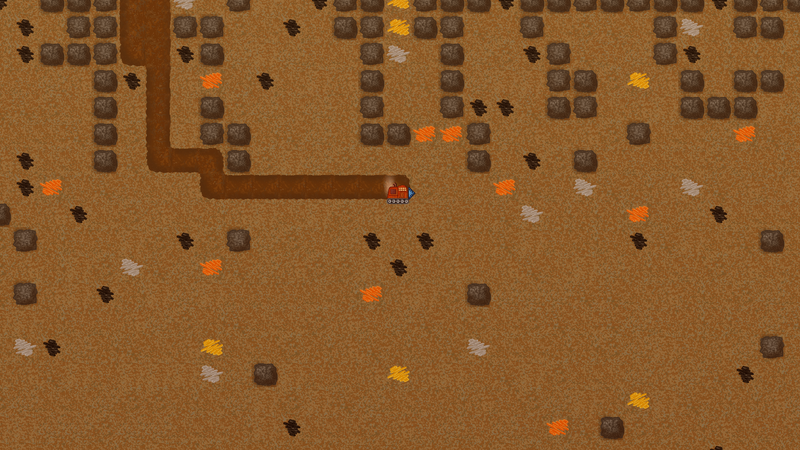 Tile world 3 is a game demo a have made using Java and LWJGL. The demo is programmed using modern OpenGL with GLSL shaders. The user controls a first person camera, and can explore the world by walking, running, swimming, jumping and sneaking using the mouse and keyboard or a XBox360 controller. The demo features simple 3D collision handling and some simple animations. This is a very interesting and very educational project, so I will probably continue working it and ad more features. This entry was posted in Game development, Java, OpenGL, Programming on March 7, 2015 by Axel. “Pickin’ Sticks” is an old classic computer game. This is my version of the game that I made in Java almost two years ago in the beginning of 2013. Now a have made some videos of it. The purpose this game to learn more about how object oriented programming and 2D graphics work in Java. The playable game is available for download. Read more here. This entry was posted in Game development, Java, Programming on November 8, 2014 by Axel.